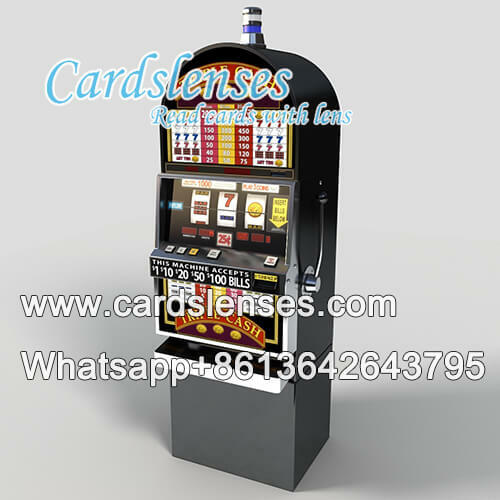 If you want to buy the quality slot machines, you will be pleased to know that we have different ranges of excellent slot machines available to you now. Slot machines, also be called one-arm bandit, which provided by us come with 12 games, if players want to play Vegas classics like Cleopatra, Wolf Run, Buffalo, Double Diamond, DaVinci Diamonds and Wheel of Fortune slots and so on, this magic slot machine can be the best choice. Our slot machines also features plug and play, comfortable sit down machine with front padded rail, five LED back lit reels, it will lighten various kinds of game rooms as well as play big band music while in bonus rounds. This is a funny and clean machine and it accepts all new bills with programmable thermal ticket printer. What is more, players can choose the game difficulty freely.